For our family, as we still having one school age child, Summertime is an especially special time of the year. We have more freedom during this season than any other to plan vacations and take spur-of-the-moment adventures and spend time together as a family, and with friends, mostly unhindered by the demands of other things. We know we are fortunate for this. It is a blessing we are grateful for every day. Our wish is that every family can experience this kind of freedom, and, when they do, to choose to take the time to deepen the bonds of love with those who matter most to them. May we remember that we belong to each other. And use our time in ways that show we do. to belong to one another. 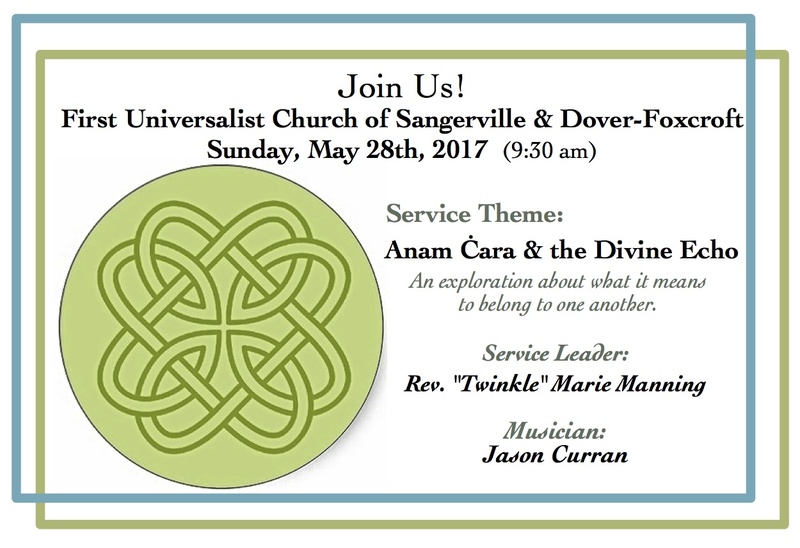 We are taking a road trip to join in beloved community with the Unitarian Universalist congregation in Sangerville. UU churches and fellowships do not endorse or denounce political candidates, we promote values and principles in alignment with our liberal faith and we seek ways to meet the needs of our community. The results of this election have caused fear in our nation, and in our community. Residents have concerns about how the new administration will affect them and those they love. There are fears about access to needed medical care, the sexual objectification of women, potentially negative implications possible policy changes would mean to marriage equality and LGBTQ rights, as well as concerns about racism, xenophobia and human rights violations. The Unitarian Universalist Church of Sangerville & Dover-Foxcroft will host a Potluck and Vigil on the eve of Inauguration Day. It will be a time to comfort one another as we express our concerns and share our hopes. 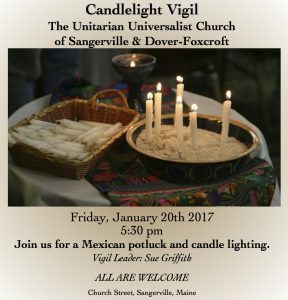 Join us for a Mexican potluck and candle lighting. 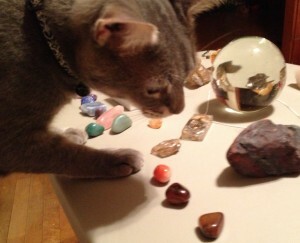 Cleo is eagerly anticipating our monthly New Moon ritual. July’s New Moon is in Cancer. A perfect time for accessing our inner most desires, communicating our feelings, and honoring our emotions. Dive deep as you plant seeds of creation for your highest good, cultivating self-love and compassion. Join us Wednesday July 15th, 7pm at Twinkle’s Place. Twinkle will lead the ritual as we honor this sacred time of the month and prepare for what is next on our journeys. Friends, do you feel called to teach and share your gifts? We invite you to join us at Twinkle’s Place. Join us in the privacy of our home, or collaborate with us at a larger local venue such as local Unitarian Universalist Churches, Libraries, Wellness Centers and Theaters. We are excited to discover what you feel called to share in community, and how we can help you do so. Wednesday, April 29th – 10:00 AM – Noon. 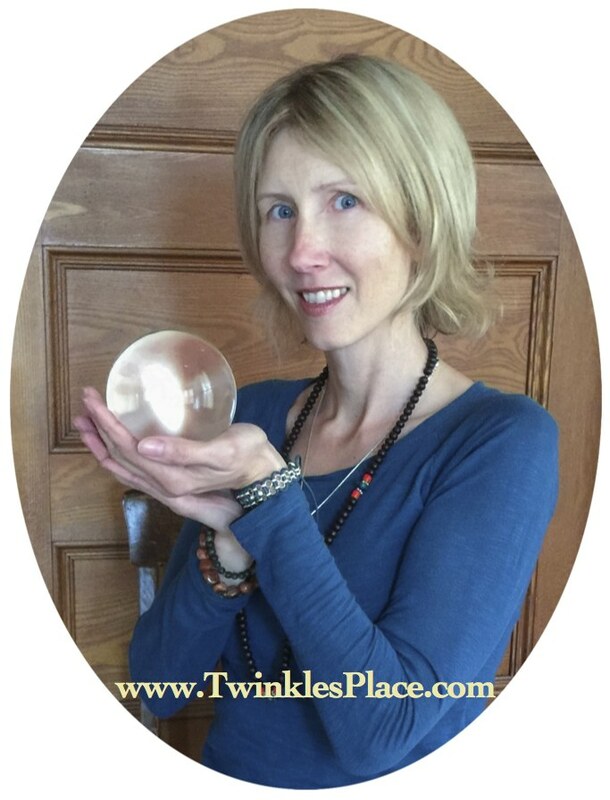 This is a great time for those who are considering facilitating a workshop or class at Twinkle’s Place – or would just like to come hang out with us for a couple hours ! We will give you a tour and look forward to learning about your practice and discovering ways to collaborate with each other. The New Moon is a time of new beginnings, a monthly re-start, and an opportunity to take stock of the directions you wish to focus your energies on. 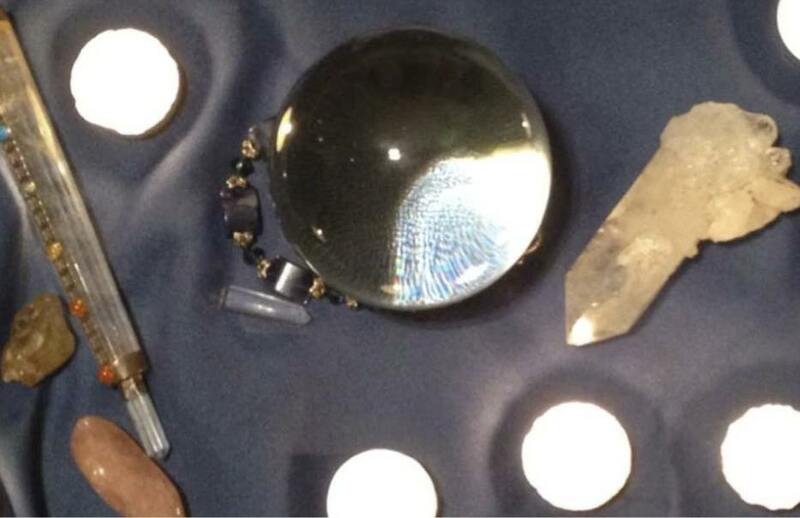 During the dark of the moon, the moon generates energy that is creative, receptive and strong. Taking the time in solitude -or in a group- to center yourself, feel your connection with the Earth and the Universe as you enter into sacred space is a key to peace of mind and a purposeful life.